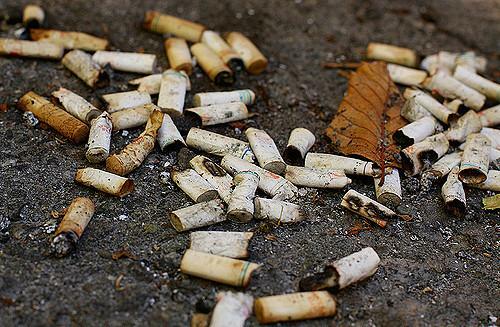 Cigarette butts—a common form of litter found in the marine environment—are a source of environmental contamination, says a study published in journal Tobacco Control, a specialist journal by BMJ. Worldwide, almost 4.95 trillion cigarette butts are littered annually and many of these find their way into the ocean. The metals they release can harm local species and enter the food chain. Cigarette filters are placed to reduce the level of nicotine and tar in smoke. They are made of cellulose acetate, that aids the transfer of metals in marine environment. The use of insecticides, pesticides and herbicides is also very common in tobacco farming, which leads to the accumulation of metals in the leaves. Besides, wrapping paper used to roll cigarettes have brightening agents, which may release metals. Researchers studied the levels of cadmium, iron, arsenic, nickel, copper, zinc, and manganese in cigarette butts at nine stations along the northern part of the Persian Gulf. Heavy metals are bio-accumulated in the body and exposure to some of these metals like cadmium, arsenic can lead to severe health issues like lung cancer and diabetes respectively. The results showed that the levels of each of the metals varied from 79.01ug/g to 244.97 ug/g for iron and from 38.29 to 123.1 ug/g for manganese. Arsenic levels varied from 0.12 ug/g to 0.48 ug/g. As per the results, the amount of iron was the highest as compared to all other metals. The permissible limit of iron in the environment is 10 µg/g. Higher level of iron can lead to increase in pulse rate, coagulation of blood, hypertension and drowsiness. “Enhanced public awareness about the toxicity of discarded cigarette butts in marine and coastline areas may help to decrease the environment hazards of cigarette butts in these areas,” said the researchers. But more research is needed to fully understand the impact of metals from cigarette butts to the marine environment.